Nobody seems to be immune to the cold and flu season, as it seems to hit every households during the fall and winter seasons. We stock up on medicines, shots, and tissues to prepare for what’s to come, but we are only preparing for symptoms while not doing anything at all to prevent the spread in our homes. There are many simple ways that we can combat the cold and flu season, and possibly even prevent our families from getting sick, without spending a fortune on medication. Health care professionals say that cold and influenza germs can live anywhere from a few minutes to 48 hours, depending on environmental temperature, humidity, and the surface types that they land on after an infected person coughs or sneezes. It’s absolutely impossible to avoid touching anything or anybody for 6 months out of the year. Therefore, it’s important to eliminate these germs on all of our commonly used household surfaces, including floors and carpets to best prevent the spread of these germs within our households. 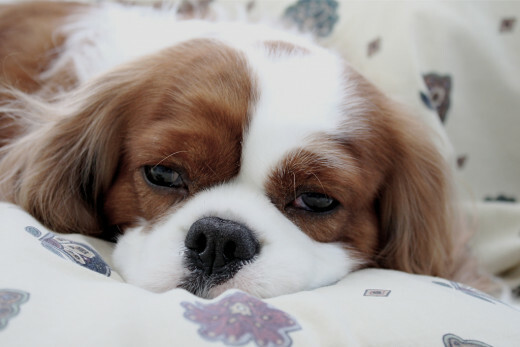 By simply keeping your household surfaces clean, including bedclothes and clothing, you may lessen the effects of the sickness in your home, and possibly even prevent it altogether. Stay steps ahead of the germ warfare in your home with a few, simple ingredients and get a leg up on winter’s ailments! 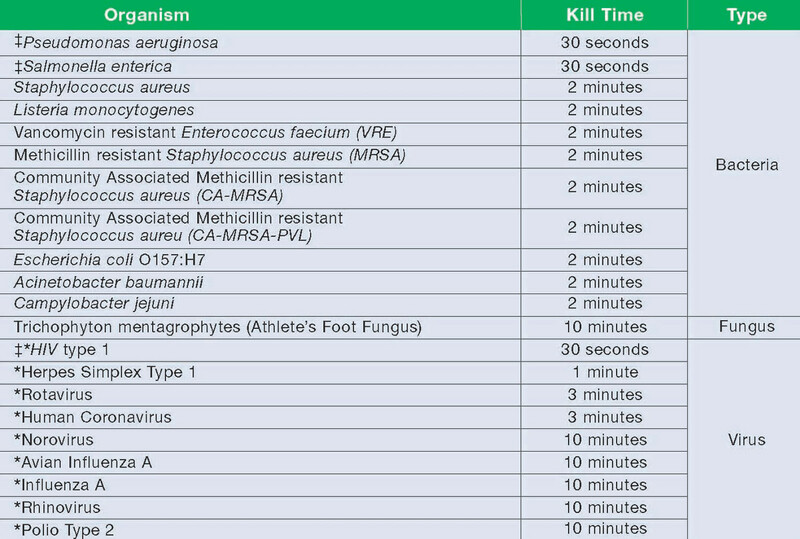 The following items prove extremely beneficial in knocking out germs without toxic residue. 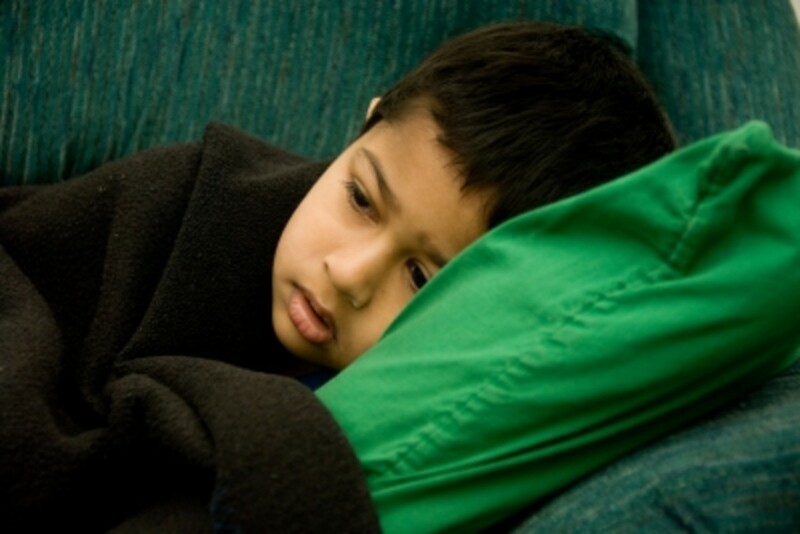 What do you do to prevent sickness in your home? Tea tree, or Melaleuca oil, is an essential oil native to Australia. Avoid ingesting the oil, as it is toxic, but feel free to use this antimicrobial and antiseptic powerhouse to clean and sanitize nearly every surface of your house, including your clothing. All Purpose Cleaner: Add several drops of tea tree oil to 1 cup of water in a spray bottle. Spray this tea tree solution on countertops and household surfaces such as toilet seats, bathtub handles, door knobs, and refrigerator handles. Once you have sprayed a surface, gently wipe dry with a clean cloth. Tea tree is excellent at fighting mold. Adjust the amount of oil you use depending on the amount of water you are using. Really, it’s not possible to “mess up” the measurements. Just be careful not to go overboard as a little really does go a long way, and adding more won’t make your surfaces any cleaner. Sanitizes Laundry: Add a few drops of the oil to each laundry cycle for an extra germ-killing boost and a nice scent. Deodorizes Carpet: Add several drops of oil to 1/4 cup of baking soda. Mix well and shake over your carpet. Adjust the amount of scented powder you use depending on the size of your room. Allow the powder to sit for at least 20 minutes and up to a couple of hours, then vacuum it up. Not only will the powder solution freshen your carpet and kill any germs that reside there, but every time you vacuum, the fresh scent of the oil will be a nice surprise. Cleans Children’s Toys: Small children who still place their toys in their mouths certainly run a high risk of self-contamination, especially during flu season. For water safe toys, fill the bathtub with hot water and add a cup of vinegar and 20 drops of tea tree oil. Allow the toys to sit for 10 minutes, and then wash each toy individually, rinse and dry. For toys that should not get wet, add a few drops to 1 cup of water in a spray bottle and spray them lightly. This solution is an excellent alternative to household bleach. Kills Airborne Germs: While you’re cleaning around the house, consider placing a cup of water in a small saucepan and add 5 drops of tea tree oil. Let this water boil, and then turn off the heat. The steam from the water saturates the air with a germ-killing infusion that eliminates airborne bacteria. You may also move the saucepan from room to room, placing the pan on an oven mitt to avoid burning any furniture. Aromatherapy infusers also work very well with this oil and have the same effect. Before moving on to the next set of housecleaning items, it’s worth a quick mention that these three additional essential oils also work well at killing germs and actually prove more effective than the phenol-based store-bought antiseptics found at the supermarket. Oil of Oregano, Lavender and Thyme: A few drops of these pungent oils to water or a water/vinegar solution will sanitize nearly every surface. Use care when spraying essential oils onto wood surfaces that are not protected with wax or a varnish. 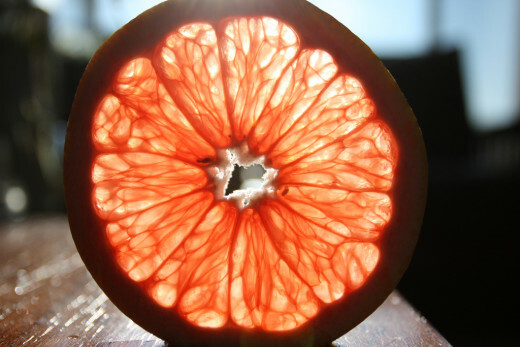 Grapefruit seed extract is a natural, antimicrobial liquid from the seeds, pulp, and white membranes of the grapefruit. GSE can be purchased in some supermarket chains and health food markets. Sanitize Dishes: Place 10-15 drops of the liquid into your sink along with hot water and dish soap. Wash your dishes as usual, making sure to rinse well. Cleans Vegetables: Add 5 to 6 drops of liquid to a large bowl of cold water and place your fruits or vegetables into the bowl. Swish around and then be sure to rinse very well. All-Purpose Spray Cleaner: Just like with the tea tree oil, you can place 15 to 30 drops of this liquid in a large spray bottle (with at least 3 cups of water) and use on nearly every surface. Due to the strength of this liquid, you may not want to use on unfinished or antique wood. Sanitizes Laundry: Add a few drops of the liquid in with your natural detergent in every laundry cycle for a knockout punch for influenza germs. Cleans Toothbrushes: Add 6 drops of liquid to a small glass of water and place your toothbrush into this solution, bristle-side down. Let soak for 10 minutes and rinse very well. GSE works great on germs, but may also weaken tooth enamel at full strength, so take the extra time to rinse those brushes under hot water. Glass Cleaner: Add 1/4 cup of vinegar to 2 cups water, 1/8 cup lemon juice and 1 T corn starch. Mix all of the ingredients very well to ensure the corn starch dissolves completely before using it on your glass. 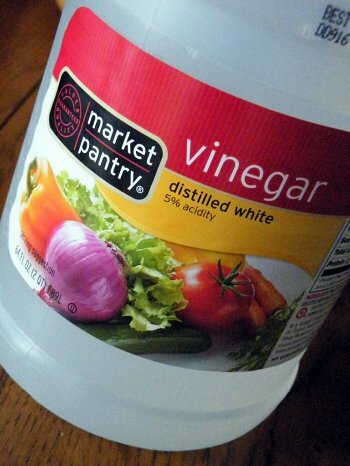 And if you don’t want to bother with all of the ingredients, just use vinegar straight. All-Purpose Cleaner: Antibacterial sprays are effective, of course, but for a healthful alternative, try using a homemade solution of equal parts water and vinegar in a spray bottle. You can even add 10 drops of tea tree oil for an added bonus. Swish the solution and spray onto the surface that needs disinfecting. Be sure to lightly wipe these areas once sprayed. For areas that require stronger sanitation, such as trash can lids, toilet seats, and diaper changing areas, allow the solution to sit for 10 minutes, then wipe dry. Shines Floors: No-wax floors can be cleaned with a solution of 1 cup vinegar per gallon of water for a clean, shiny surface. This works best on tile, but is also great on linoleum. Cleans Wood Paneling: To clean wood paneling, use a mixture of 1/2 cup olive oil, 1/2 cup vinegar, and 2 cups warm water. Apply to paneling with a soft cloth. Dry with a clean cloth. Removes Hard Water: Remove that stubborn build-up from hard water by soaking the affected surface with vinegar for several hours or overnight. A great example of how vinegar works to fight deposits is by cleaning your showerheads. Simply take a plastic baggie, fill with vinegar, and wrap around the fixture. Tie the bag around the fixture with a rubber band or twist tie. Let sit overnight and rinse thoroughly the next morning. Cleans and Prevents Mildew: Spray shower enclosures and shower curtains with vinegar to help prevent mildew. This will not eradicate it completely if your shower already has a mildew problem, but this works amazing to prevent it ahead of time. This ingredient may seem unusual, and does not necessarily kill germs like the other items listed, but given its tried and true abilities to clean potential stains before they set really makes this item worth mentioning. Glass: Use club soda on glass surfaces, windows, mirrors, and windshields to get a nice shine. Stainless Steel: Polish your kitchen stainless steel appliances with a spritz of soda and a squirt of fresh lemon. Wipe the surface with a damp cloth, then buff dry. You’ll be shocked at the results. Porcelain and Toilets: Spray club soda, with an added drop or two of a germ-killing essential oil, onto the porcelain and wipe dry. For an added antibacterial boost, add a couple of drops of tea tree oil onto a cloth dampened with club soda and wipe your bathroom and kitchen hardware including knobs, towel and toilet paper holders, and baseboards! Everything will not only be clean, but will smell amazing. Wine Stains: For wine or grape juice stains, immediately press down on the area with a clean towel or cloth. Press down very gently as many times as needed to allow the spill to soak up into the cloth. Next, pour club soda directly onto the spill and gently press with a clean cloth. This must be seen to immediately for it to work. The healing, cleaning, and cooking power of lemons is amazing. 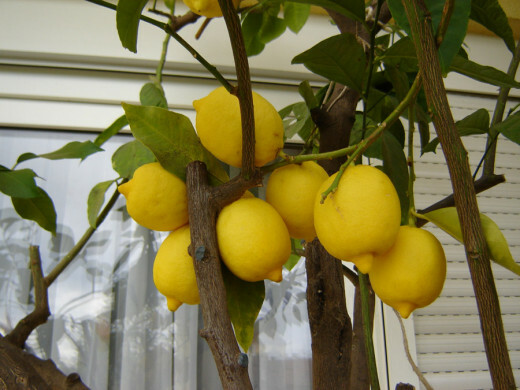 Lemons are acidic and contain antibacterial and antiseptic qualities. They work great at disinfecting contaminated surfaces, and cleaning with lemons is cheap, easy, and efficient. Household Surfaces: For serious cleaning, cut a lemon in half and scrub the surface. Rinse and dry afterwards to get rid of the sticky residue. However, avoid using lemons on brass and wood surfaces. Toilet Bowls: Try squeezing a lemon and pouring the juice into the toilet. Let it sit for at least 15 minutes and then flush for a quick and easy freshener without chemicals. Cutting Boards: Cut a lemon in half and sprinkle salt onto the fruit. Now scrub those cutting boards well. Allow the lemon juice to sit for a few minutes, then rinse with hot water and dry. This is amazing for getting rid of stubborn stains, smells, and all of the germs that go with them. Microwave: Place a microwave safe bowl filled with water into the microwave. Add a couple of drops of your favorite essential oil, or even some vanilla. Now, add the juice from half a lemon. Microwave the bowl of water on high for several minutes or until the water solution begins to boil. Once the microwave beeps, leave the bowl inside for another 8 minutes, then remove it carefully. Simply wipe down the surfaces for a nice fresh, truly clean microwave. It’s worth mentioning that while the homemade cleaning sprays work well on door handles, the refrigerator, the microwave control panel, oven doors, kitchen countertops, cupboards, toilet knobs, faucets, and everything else commonly touched throughout the day, remember not to spray on computer keyboards or laptop surfaces. Electronics and liquid typically do not mix and I’d hate to advise you on ruining these expensive pieces in your home. Instead, gently wipe these particular areas with a soft, antimicrobial cloth specially designed for electronics. A Q-tip dabbed in a small amount of isopropyl alcohol or pure tea tree oil will thoroughly clean the grime from a well-used keyboard. Be sure the cotton tip is not overly saturated and gently wipe clean. While it seems obvious, it’s important to remember to wash your hands frequently with hot water and soap. While all of these ideas are great for killing germs, it’s just as important to open a couple of windows for a few minutes a day to allow any stale air to escape. When sick people hole up inside for days on end, every surface of the house, including the air inside becomes saturated with germs. Fresh air circulation can do wonders for cleansing a germ-laden household. I highly suggest do a whole house cleansing when everyone is just starting to get better. Sheets, comforters, clothes, towels, rugs, furniture, walls, anything that could have been touched by a sick person, and even the air (I know it’s probably cold outside.) will need to be freshen and sanitized. I’m not suggesting a cleaning bomb or anything, although that would be very efficient of you, but just a nice wipe down, spray, or wash should do, along with opening the doors and windows for at least 30 minutes. Good luck with cold and flu season! You may not be able to prevent it altogether from infiltrating your home, but you can keep it at a minimum, keep from re-contaminating yourselves, and come out clean in the end. It was very helpful! I learned a great deal towards preventing the cold and flue in my home. It was helpful. I learned a few new things. Thanks. It was not very helpful. I didn't read anything new. How to distinguish between allergies, the common cold, and influenza, and when to seek medical intervention. Here are 8 herbs that can help prevent and treat the flu. You may have some of these herbs at home already! Oh I'm so glad! Don't forget to disinfect your thermometer each time you use it by holding it under hot water, and washing any drinking glasses in hot water to kill any germs. Oh my goodness! Another timely article for me. I have been stuck in the house with three kids with strep all week. I need some disinfecting strategies and the fact I can pick these up at my local grocery store means a saved errand; which is of great value in these crazy busy times! I'm really enjoying writing for HubPages and I have an extremely supportive husband that believes in the successful I will find in it! You were born for HubPages with articles like this one. Be patient; you won't see the rewards from these articles for a year but I promise you that you will eventually benefit from this type of writing. Well done Victoria.